A girl named Sophie encounters the Big Friendly Giant who turns out to be a kind-hearted soul considered an outcast by the other giants because he refuses to eat children. 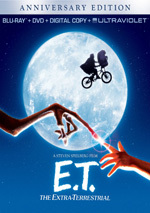 With 2016’s The BFG, the talents behind ET the Extraterrerstrial reunite for the first time since 1982. Adapted from a novel by Roald Dahl, we meet 10-year-old Sophie (Ruby Barnhill), an orphan who experiences insomnia. One night Sophie spies a giant (Mark Rylance) outside the London orphanage’s window. When this creature realizes he’s been seen, he kidnaps Sophie and insists that he live with her forever in Giant Country so she can’t reveal that giants exist. Initially scared, Sophie soon realizes that her captor actually boasts a sweet, gentle disposition, so she dubs him the “Big Friendly Giant” – or “BFG” for short. 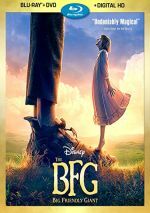 Sophie and the BFG develop a friendship, but other nastier giants threaten their serenity – and Sophie’s life, as they prefer to eat children. Over the years, I’ve made my love for early Spielberg well-known. From 1975 to 1982, he experienced an amazing run marred only by the flawed 1941. Two of those films fell into the realm of fantasy: ET and 1977’s Close Encounters of the Third Kind. Both offered brilliant tales that showed genuine magic. Since 1982, Spielberg has almost entirely avoided the fantasy genre, as only 1991’s Hook clearly falls into that category. I guess one could view 2011’s Adventures of Tintin as a fantasy, but like the Indiana Jones flicks, I think it more accurately resides under the “action/adventure” banner. Back when I saw Hook 25 years ago, I thought it seemed clear that Spielberg had lost his touch for the magical. Most of Hook felt forced and lacked the natural charm and easy-going connection to fantasy that the director showed during ET and Close Encounters. I hoped that BFG would resurrect Spielberg’s ability to give us a vivid fable, and the presence of screenwriter Melissa Mathison added fuel to that fire. She wrote ET as well as 1979’s Black Stallion, another endearing children’s tale. Unfortunately, it becomes obvious that the magic evaporated years ago. Little about BFG shows the sparkle that elevated ET and Spielberg’s other early movies, as instead, it comes across as plodding and forced. Stretched to 118 minutes, BFG moves at a snail’s pace and takes too long to really go anywhere. This doesn’t result from personal preference, as I'm all for movies that progress in a deliberate manner. I don't demand or desire movies that insist on whiz-bang rapid-fire pacing. But BFG is simply too slow - it's just a snoozer. I felt like I could have stepped away from the movie for 15 minutes at a time and never missed anything. My biggest problem doesn’t come from the slow pacing, though. Instead, it's the utter lack of "magic" on display. The Spielberg of 1982 could've made this a delightful, charming tale, but the Spielberg of 2016 seems to have no feel for this kind of movie. The movie moves at a glacial pace and does little productive with that time. The interactions between Sophie and the BFG just seem rudimentary - they don't do a lot to develop the characters, so we accept their fondness for each other more out of habit than because the personalities warrant it. The visual effects don't help. I could never buy the BFG as a living, organic being, as he always looked like something from a computer, and the movie didn't meld him with Sophie in a convincing manner. Every time he picked her up, I could feel the greenscreen - the interactions looked off and took me out of the movie. Or they would have taken me out of the movie if I'd been invested in it at all. But I wasn't - I was bored, disenchanted and left without anything about which to care. I've been a lifelong Spielberg fan and count ET as one of my 10 favorite movies. BFG isn't 1/100th as good as ET and it offers a dull, plodding tale with no sense of life to it. The BFG appears in an aspect ratio of approximately 2.39:1 on this Blu-ray Disc. This became an excellent presentation. Sharpness worked well. Virtually no softness appeared, so the flick offered fine clarity and delineation. I saw no shimmering or jaggies, and edge haloes failed to appear. Print flaws also stayed away from this clean presentation. As for the palette, it showed a teal and orange tendency, but the different settings allowed for a few other hues as well. These came across as peppy and vivid. Blacks looked dark and deep, and low-light shots seemed smooth and clear. I felt pleased with the transfer. In terms of the film’s DTS-HD MA 7.1 soundtrack, it opened up matters pretty well. Most of the movie stayed with general atmosphere, but these elements still worked nicely. Even in “quieter” sequences – like those in the BFG’s house – we got a great feel for the environments. Expect a lot of directional movement and dialogue, and the action picked up as the movie progressed. The climax added a lot of excitement and created a lively soundscape. Audio quality appeared good. Speech remained distinctive and concise, and music sounded robust and full. Effects demonstrated nice clarity and showed solid oomph when necessary. I felt pleased with this effective soundtrack. Only a smattering of extras appear here, all in the form of featurettes. Bringing The BFG to Life runs 27 minutes, nine seconds and offers comments from director Steven Spielberg, executive producers Kristie Macosko Krieger and Kathleen Kennedy, producers Sam Mercer and Frank Marshall, novelist Roald Dahl’s daughter Lucy, previs creative supervisor Josh Wassung, production designers Rick Carter and Robert Stromberg, supervising art director Grant van der Slagt, senior visual effects supervisor Joe Letteri, motion capture supervisor Dejan Momcilovic, visual effects supervisor Guy Williams, supervising sound designer/re-recording mixer Gary Rydstrom, costume designer Joanna Johnston, property master Jimmy Chow, and actors Ruby Barnhill, Penelope Wilton, Mark Rylance, Rafe Spall, Rebecca Hall and Bill Hader. In addition to Barnhill’s “video diaries”, we get notes about the source novel and its adaptation, story/character areas, previsualization and visual design, cast and performances, sets and locations, motion capture and various effects, costumes, props, and audio. That’s a good array of subjects, and “Life” covers the topics well. Granted, it needs to rush through the material given its relative brevity, but it still delivers an appealing overview of production topics. Next comes the one-minute, 55-second Big Friendly Giant and Me. It offers a semi-animated look at the adventures of the boy who lived with the BFG prior to Sophie. It becomes a cute addition. For a look at the movie’s unique language, we go to Gobblefunk: The Wonderful Words of The BFG. It lasts three minutes, 16 seconds and features a quiz about the BFG’s vocabulary. Like “Me”, it offers a superficial but likable piece. Giants 101 occupies four minutes, 57 seconds with notes from Marshall, Spielberg, Hader, senior animation supervisor Jamie Beard, movement coach Terry Notary, and actor Jemaine Clement. This piece looks at aspects of the work done to bring non-BFG giants to life. It gives us a smattering of good notes. Finally, we go to Melissa Mathison: A Tribute. In this five-minute, 54-second piece, we hear from Kennedy, Krieger, Marshall, Mathison, Carter, Stromberg, and Spielberg. This mixes appreciation for Mathison – who passed away during production of BFG - with info about her participation in the film. It delivers a classy farewell. The disc opens with an ad for Beauty and the Beast (2017). No trailer for BFG appears here. A second disc provides a DVD copy of BFG. It includes the “Gobblefunk” and “Mathison” featurettes but lacks the other extras. Anyone who hopes The BFG will recapture the glory of ET the Extraterrestrial will encounter severe disappointment. Dull, slow and joyless, the movie lacks any of the earlier classic’s magic. 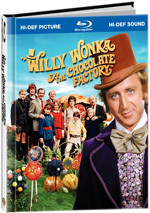 The Blu-ray offers terrific visuals as well as very good audio but it lacks substantial bonus materials. The BFG ends up as a sluggish dud.